Covered Porch with Charcoal Grill off the Kitchen Area. Driveway and Steps Leading Up to Chalet. Driveway can be steep. Great Room with Wood Burning Fireplace. Limited Firewood is Provided. Great Room with Lots of Windows to Enjoy the Surrounding Mountain Views. Frige, Electric Stove, Dishwasher, Microwaver and Toaster. Main Level Bedroom With adjacent full bath. Upper Level Master Bedroom with Full Bath. 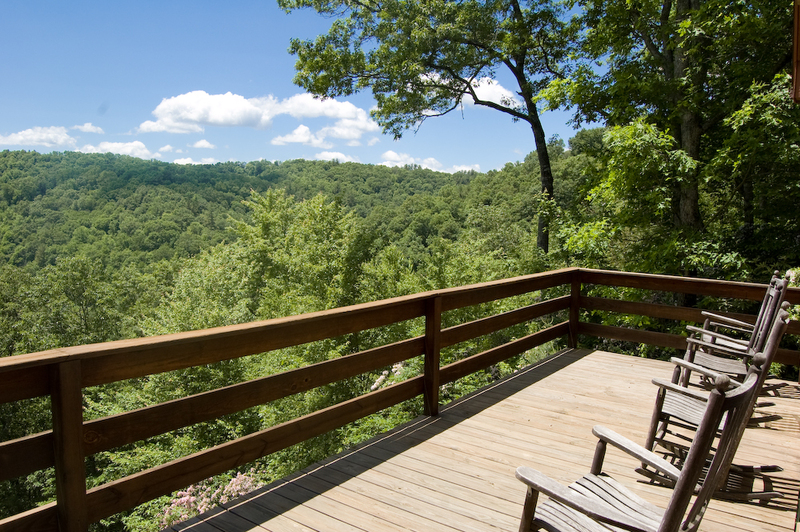 Enjoy the long range mountain and New River views. Tucked among the flowering mountain laurels which bloom in June - July. 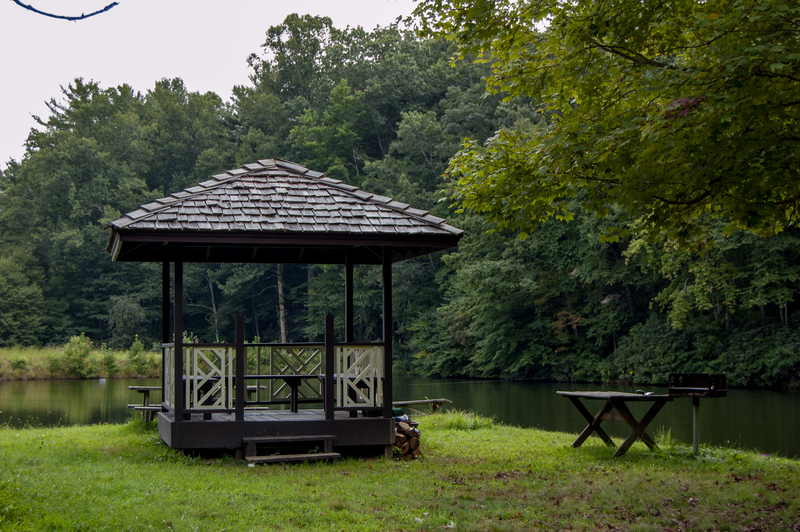 Ample Outdoor Furniture, All Tucked Among the Native Flora. Tucked among the native foliage and flowering mountain laurels which bloom June to July. Limited Supply of Firewood Provided. 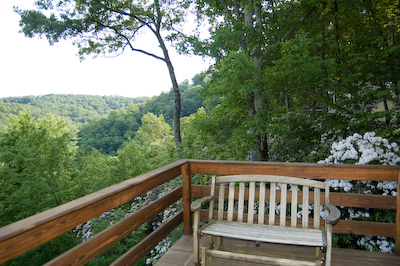 When you relax in your rocking chair on the deck of Riverbend Chalet, you'll feel like you're at the top of the world. From here you can see for miles and miles, above the treetops, to the mountain peaks beyond. Jaw-dropping in all seasons! Riverbend Chalet also gives you the convenience of an awesome location in Fleetwood Falls - a lovely neighborhood with terrific amenities. 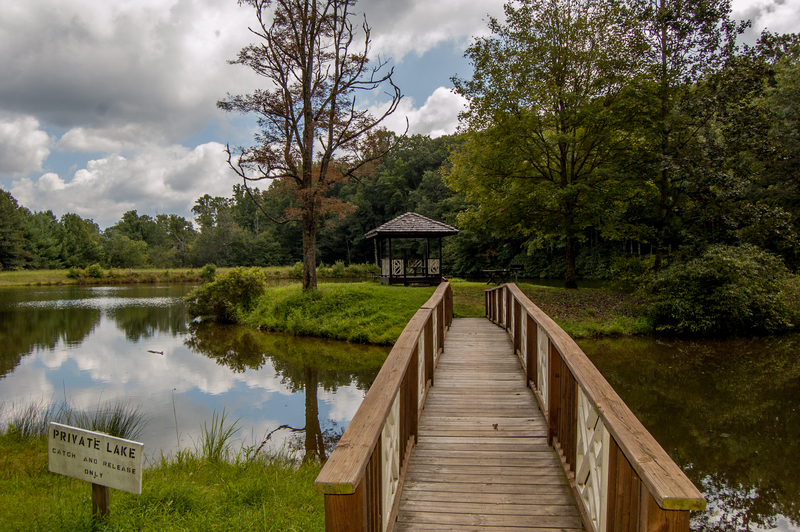 This private community has its own lake, waterfall and New River access! 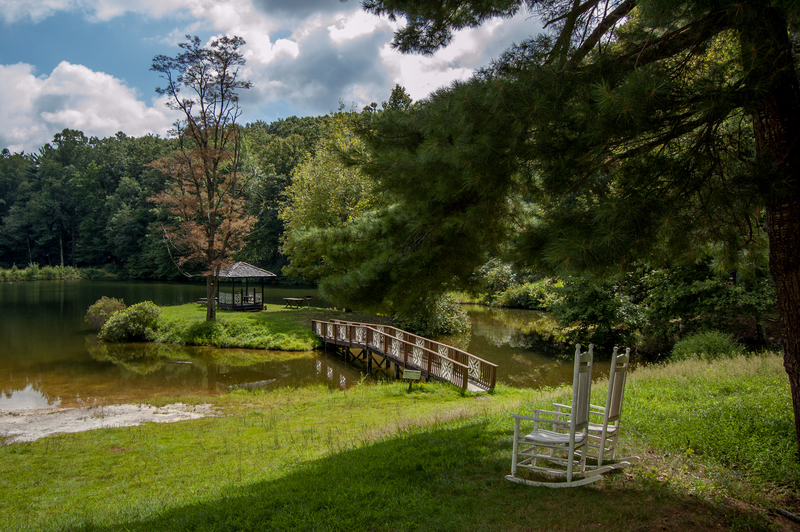 The lake is a true bonus for vacationers, offering catch-and-release fishing, a walking trail, a picturesque lakeside gazebo with picnic tables, and a grilling station. Don't miss a nature hike through the wooded ravine to the falls. 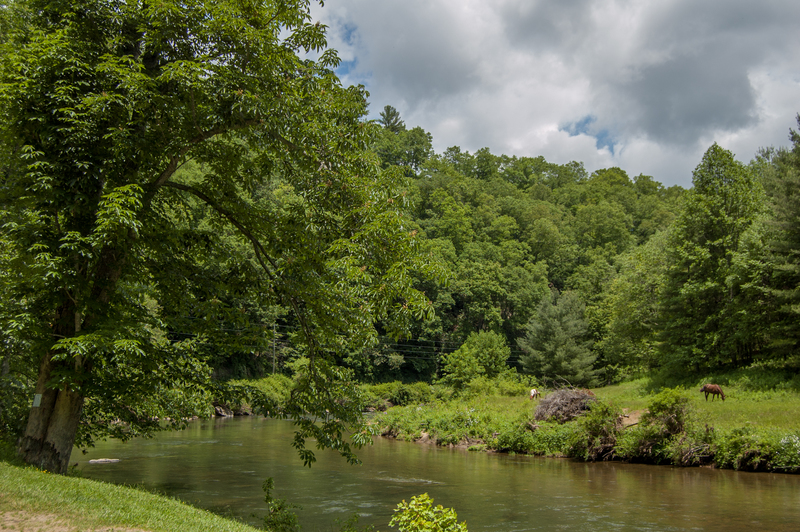 The community's common area at the edge of the New River gives you easy access to fishing, swimming, tubing, kayaking and canoeing - for days of fun and adventure. Nearby river outfitters are ready to hook you up with any equipment or instruction you need. 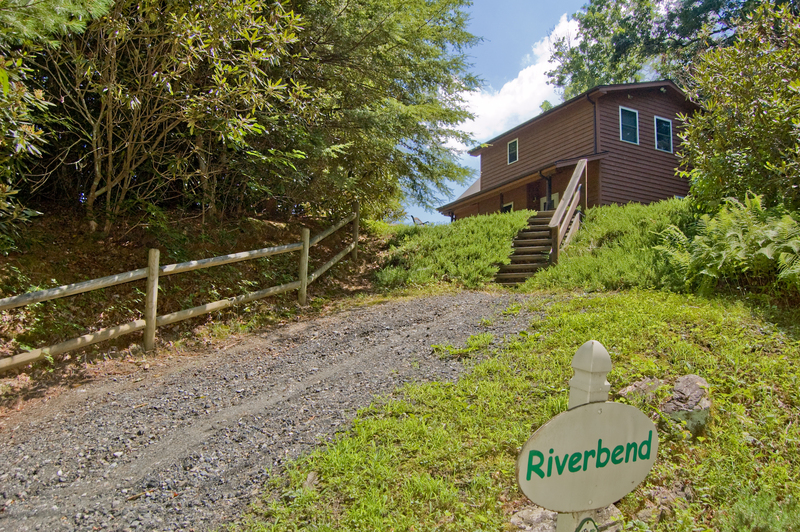 Riverbend Chalet is the place to soak in the natural beauty of the High Country, with its fantastic views and natural setting. 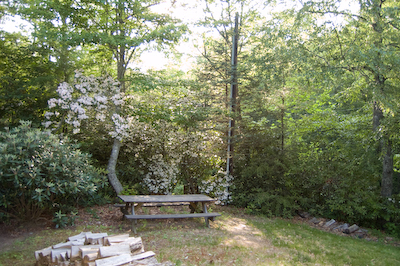 A picnic table nestled into the woods among the flowering mountain laurels is the perfect spot for cookouts, and there's a charcoal grill right off the kitchen for your convenience. The home's interior maintains the close-to-nature ambiance, with wide windows for enjoying the majestic views. Close out the evening with a hot beverage as you cuddle inside, soothed by the warm crackle and glow of the cozy stone fireplace. The open floorplan is designed for socializing with friends and family members. 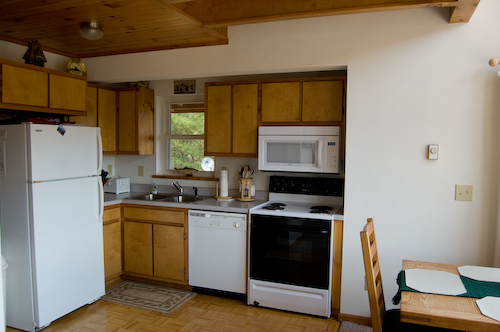 The kitchen is small, but well-equipped for meals at home. 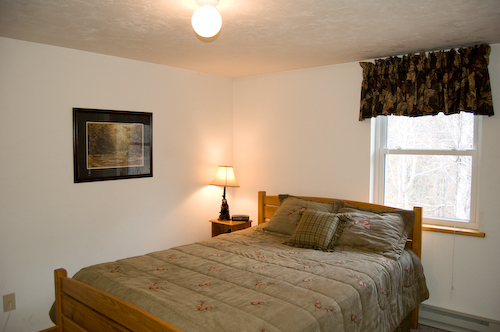 On the main level you'll find a bedroom with a queen bed and full bath. Upstairs is another queen bedroom, as well as a loft with two twins. Every day is a vacation at Riverbend Chalet - the perfect place to experience High Country beauty, adventure and relaxation! Riverbend Chalet has easy access to the towns, venues and activities that brought you to the mountains. 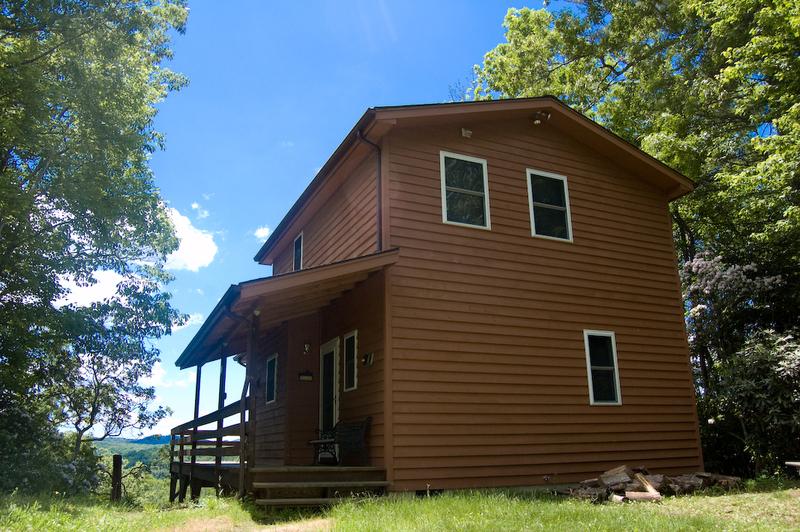 The home is located halfway between West Jefferson and Boone, and only 10 minutes from the Blue Ridge parkway. In the quaint town of West Jefferson you'll find restaurants and a wonderful array of shopping, including antique stores and art galleries. You can watch cheese being made at the Ashe County Cheese Factory, stroll the charming main street, or even grab a movie at the inexpensive theater. This is small-town Americana at its finest. Save a day for exploring the Blue Ridge Parkway, one of the most scenic drives in America. Take advantage of the awe-inspiring photo opps and hiking trails. In this special part of the world, the wonder of Mother Nature presents itself at every turn. 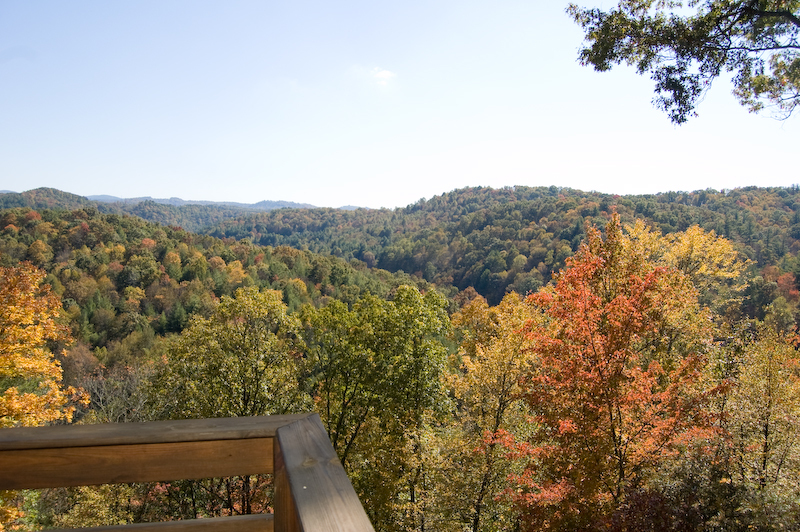 From the Parkway you can easily access Boone or Blowing Rock, for an even wider assortment of dining, entertainment and shopping options. Tour the campus of Appalachian State, or visit our craft breweries. For the bicycle enthusiast in the family, Riverbend Chalet is only 2 minutes from the scenic Railroad Grade Road - a popular bike route that meanders along the river from Fleetwood to Todd, known for its old-time charm, with bluegrass entertainment and arts and crafts festivals throughout the season. 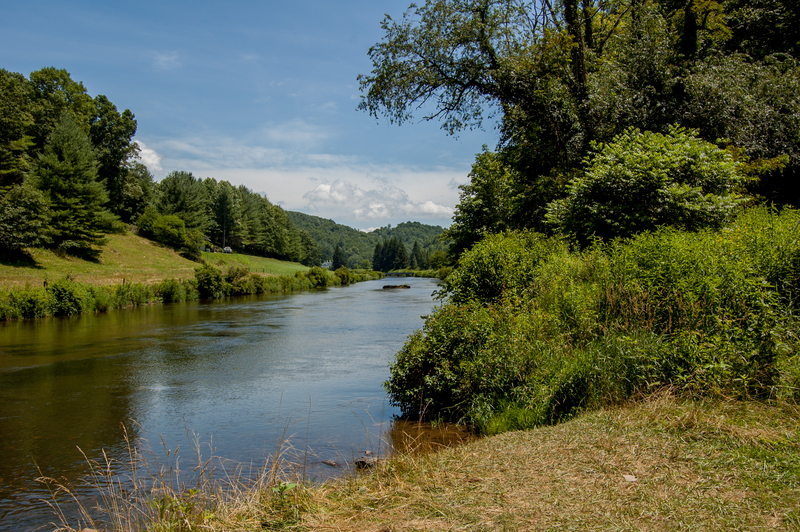 If you're visiting in the summer, enjoy endless activities, from golf, zip-lines, horseback riding, hiking, photography, gem mining, and, of course, a wide and wonderful assortment of water/river adventures. Fall foliage is indescribably gorgeous. If you're craving a snowy mountain winter enjoy sledding, snowboarding, skating - and don't forget skiing - all winter long too. "Loved the house loved the views even though we weren't there much during the day house was very clean thanks to the cleaning crew for doing a great job made us feel like we were home We hope to be back soon thank you again for a pleasant stay "
"This was a great house for family of four. A little off the beaten path but was very quiet and tranquil. Wish there was hiking/walking trails on site, but we had a great stay anyway. Very clean!" 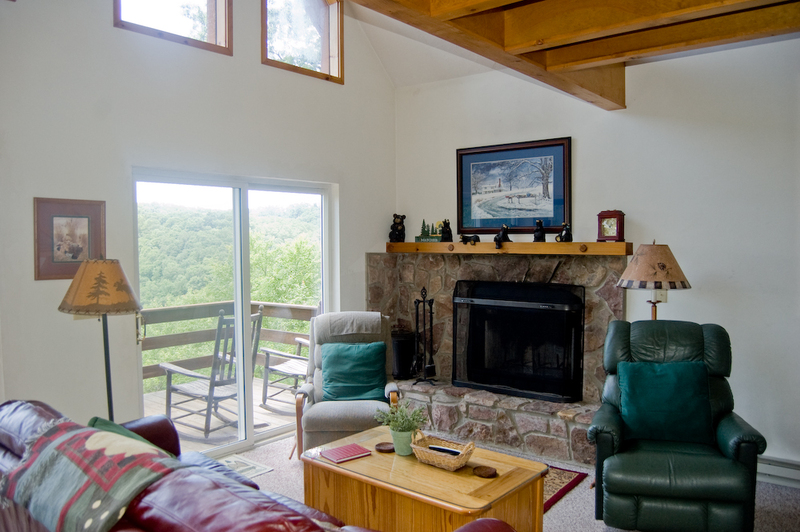 "The cabin was very cozy, and had a great view of the river. The cabin was close to attractions like Mystery Hill. The only issue we had was not having any snow tools. There was no path to the house that was not snow covered to finding a way up to the house was difficult but not impossible. I would like to have had a snow shovel accessible to clear a path. However the amount of snow that they received was much more than usual. Overall it was an amazing stay and would recommend it to anyone who wants to get away from the daily grind. " Thank you for the wonderful review and you're correct, we usually get snow but this one hit earlier than normal and we were just not quite ready for it! "Beautiful serene views. So relaxing and tranquil. Wonderful wood burning fireplace—so cozy!" "A great place for a quick get away or a long vacation. Views are wonderful. Comfortable home. " "The house was in great condition, clean, well maintained. Great mountain views. 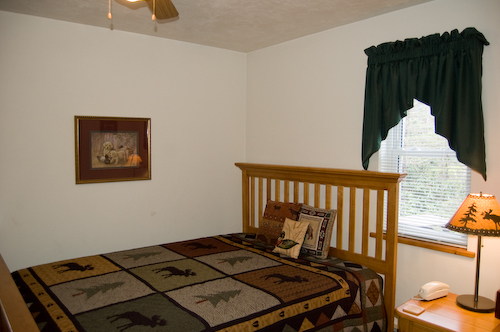 Window AC units in bedrooms and lots of fans available. The living room will heat up on very warm summer days as there is no central air and the sun shines right in the large windows (beautiful view though!). 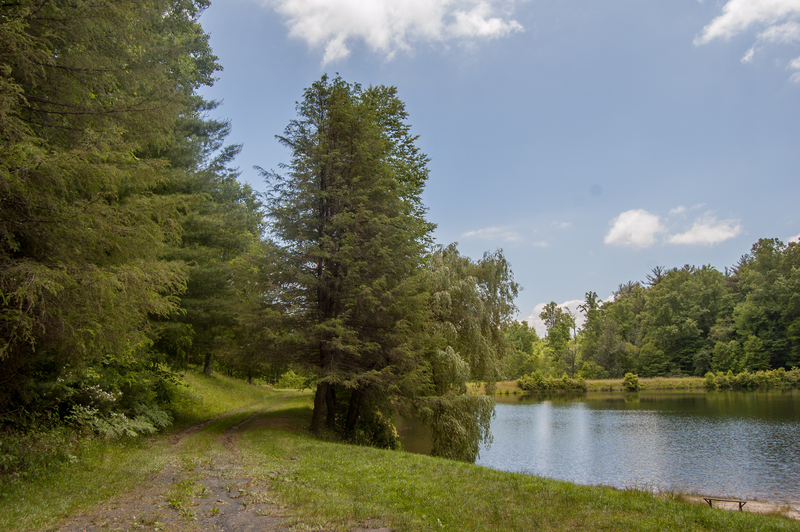 The house is conveniently located within 20 minute drive to West Jefferson and Mount Jefferson State Park. River access at the entrance to the community. 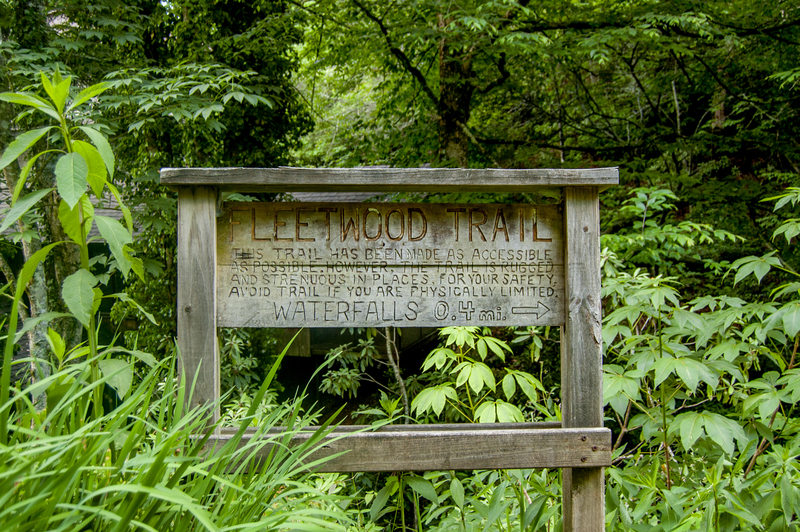 The Fleetwood Falls trail was a great 0.5mile adventure, but be prepared for a somewhat strenuous and muddy hike. Be prepared for very narrow roads and steep driveway. We parked 2 cars at the bottom of the driveway and just walked up. With two small kids and grandparents in tow, we ended up driving down to the river, trail and lake areas, but it is very reasonable to explore on foot if you don't mind walking a couple of miles. The reasons I gave 4 stars for condition and location are due to lack of AC in living room area, very narrow roads, and lack of real driveway. Overall however, it was a great place and you certainly can't beat the price! "Wonderful view. Very clean. Attractivlely decorated. Kitchen pots and pans needs to be better organized. Upstairs Ac did not work. Office very helpful." "We had a gear stay. 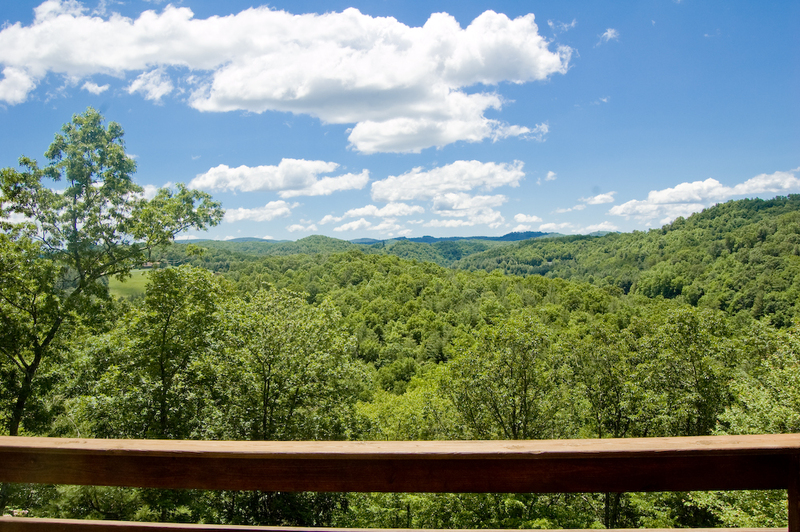 The view from the deck and living room is spectacular. The bedrooms are spacious the bathrooms were updated. Plenty of seating on the deck. Great location to access Todd, the river and W Jefferson. The kitchen is small. There is no storage space for groceries. Pots and pans need to be replenished. " "My husband and I were looking to spend some time in the mountains for rest and relaxation. 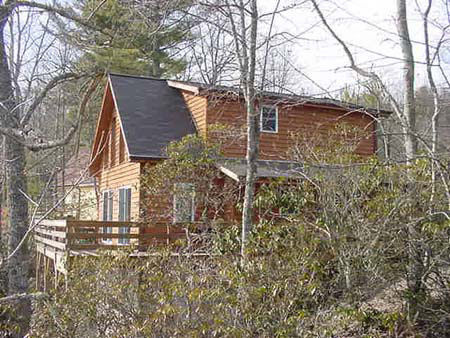 Our stay in Riverbend Chalet in Fleetwood, NC was absolutely one of the best cabins we have rented!The cabin was very clean and comfortable. The view from the deck is absolutely beautiful. We would love to go back and bring our son and his wife...they would also love it!" "Beautiful home with beautiful Mountain Views "
"Everything was provided as stated and the place was extremely clean. We liked the two new recliners which were not pictured in the photos. 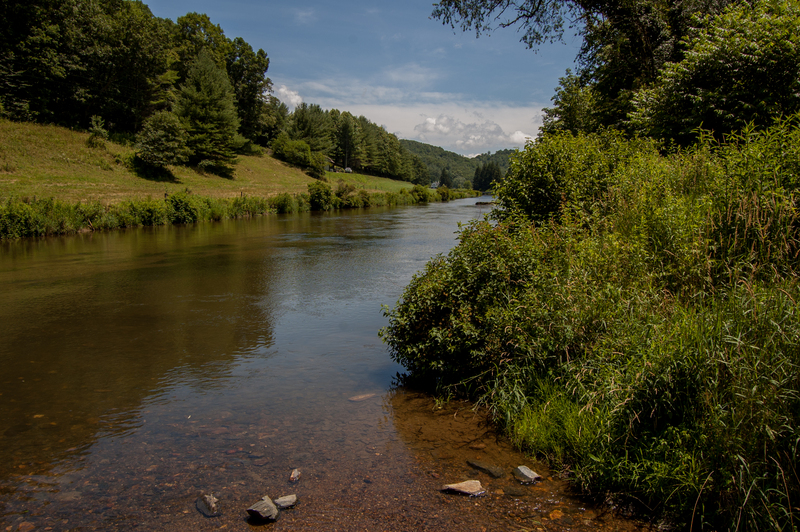 It was wonderful listening and seeing the New River directly below the cabin. My husband fished in the New River (catch and release). A caution about the driveway. It is steeper than it appears in the pictures. We had to park in the cul-de-sac. We enjoyed going to Boone for dinner and driving all around Mount Jefferson and Todd, NC. " "Family of 4 fit comfortably with room to spare. The back porch was my favorite place to relax. Very clean! We will be back!" "We enjoyed our stay and got plenty of rest. The place was clean and got to see a terrific scene of the mountain sides. We enjoyed the sounds of the river below. The only thing I found wrong with the stay was the furniture. Both recliners were in bad shape and needed to be replaced. One was even missing the handle to operate the leg rest. But over all it was a great get away." "Such a beautiful place to get away from the sound of phones ringing, traffic moving,people talking...etc. beautiful views, mountains all around, cattle on the hillside and the sound of a rushing river. I highly recommend this. The cabin was beautiful and I thoroughly enjoyed my stay. Thank you for making a getaway from the business of everyday life an enjoyable memory. " "Have used Ashe High Country for many stays. Easy to work with, reliable and very professional. " "This is my second time in this property, my wife's first, and I really enjoyed it. The quietness is great and the view, despite a little fog, was awesome. We are already looking forward to our next getaway. " "Owner of the property was very helpful and answered all my questions. The house has an amazing view and was clean. The only "issue" is the driveway. It is on a short, but steep hill. You can park at the bottom of the hill with no problem and walk up to the steps. Other than that, I would recommend these property to anyone. " Thank you for your response. We are happy that we answered all of your questions. Thank you for staying with us! "My wife and I wanted a quick get away to the mountains and booked at the last minute. I'm glad we did. We had great weather, but what we loved the best was the mountain view from the cabin. When we arrived, the place was found clean and that means a lot. We got plenty of rest which what we needed. We will plan to use this rental again very soon. Great get away. Thanks." TO BE REPLACED VERY LARGE HOLES. I HAD CALLED PRIOR TO AND ASKED ABOUT A COFFEE MARKER,IRON AND IRONING BOARD AND WAS TOLD THERE WAS THESE ITEMS ON SITE. THE COFFEE MAKER WAS BUT HAD TO RUN INTO TOWN 25 MILES AWAY TO PURCHASE A IRON AND IRONING BOARD. THE DRIVEWAY IS VERY STEEP, WE HAVE AN SUV AND COULD NOT PULL UP INTO IT, WHICH MADE IT HARD FOR MY HUSBAND SINCE HE HAS A BAD KNEE. OUR STAY WAS GOOD THE LOCATION PERFECT, AND SCENERY WAS BREATH TAKING. THE LADIES AT ASHE COUNTY RENTALS WERE VERY FRIENDLY, HELPFUL AND PLEASANT TO WORK WITH. I WILL SURLY DO BUSINESS WITH THEM AGAIN. " 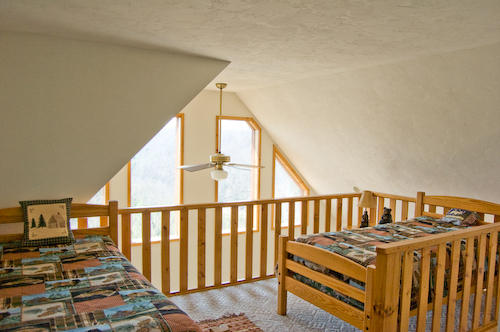 "A cozy, well-maintained cabin with fantastic views. Given the remote location, having more kitchen equipment would have been nice. The driveway is only big enough for 1 car and is on a 50 degree angle. We didn't use it." "Everything was clean and really nice, i will stay in that cabin again and will recommend it to anyone that wants to get away and relax. " "The vacation rental was great! 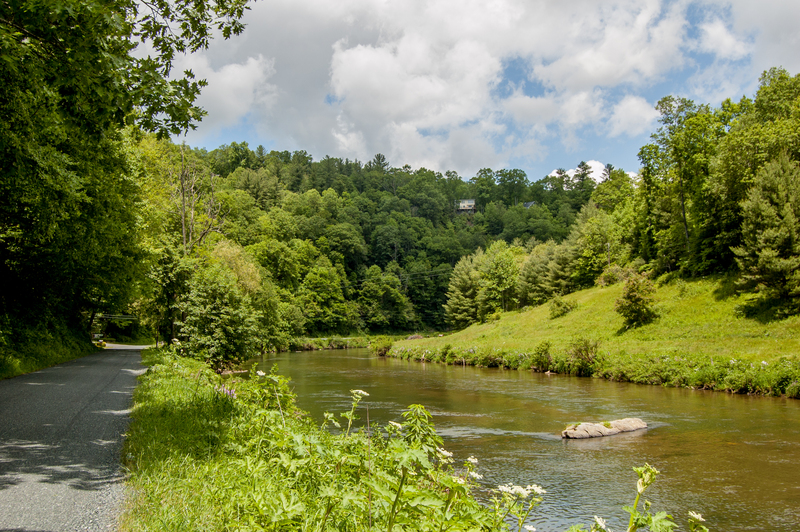 The chalet was very well kept, cozy, mountain top views, and the exciting sounds of the new river; looking forward to revisiting Fleetwood Falls." "This cabin was adorable. Amazing view. Cute inside. Didn't get to use the fireplace but it made the living room seem very cozy. We also didn't use the kitchen but it seemed to have everything you would expect. The rooms were good sizes and it was nice having 2 full baths. It is only about 25 minutes to drive into Boone which was also perfect. The only issue we had was not with the cabin but the bridge to get to the neighborhood. This weekend it rained, a lot. When we were on our way back to the cabin the bridge to get there was COMPLETELY flooded. Since GPS does not work out there we had to get someone to call us to give us directions on another way to get back to the cabin which was an additional 15 minutes to our drive. I understand this is not the fault of the rental company but it would have been handy to know this beforehand. I would return to the cabin which I LOVED but I would be careful of the bridge." "Cabin has wonderful view and set up works well with children. Concerned a bit about no AC, but plenty of fans on site. We were quite comfortable. Décor could use a little updating, but otherwise very nice." "The people that we dealt with were very helpful The house was clean ,quiet, and had a great view We would recommend this house and would stay again "
"We had a lovely time at your property. 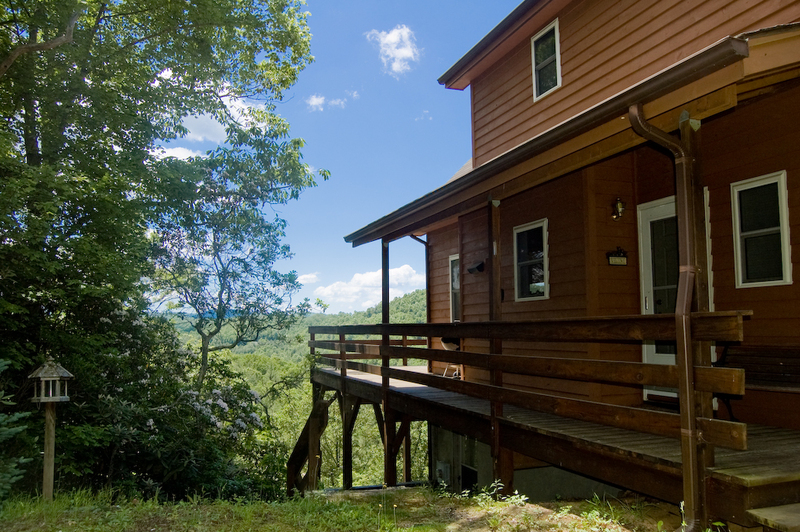 The seclusion and view were wonderful and everything we needed was at the cabin. 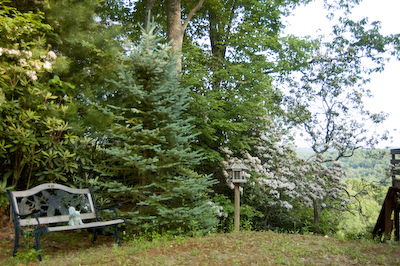 Also, the cabin was not too far from Merlefest, which is why we traveled to the area. My only complaint is that the clean towels in the guest bathroom were just left on the side of the tub, unfolded and there is a recliner that needs some repairing (unless you enjoy always being in the folded-out position). However, you can't beat what you get for the price." "Very Nice, enjoyed the cold and the snow! Roads were cleared quickly, so traveling in and out of the community was not aproblem"
"We were there for our 20th anniversary. It rained most of time but it was lovely with the leaves changing anyway. The Chalet is older but very well kept and Very Clean. That is always a plus for me. It was October Fest everywhere so there was still a lot to do. We look forward to going back to Fleetwood Falls. We have always loved that community. :)"
"We enjoyed our stay here. The view is incredible. It sleeps 6 comfortably if 2 adults can share queen beds. 2 twin beds in the loft are exposed to all noise so all must go to bed at same time. The beds are very hard but that was our only complaint. The deck would be dangerous for small children, steep drop off." it wasn't too bad.Overall the cabin was GREAT! We ate in West Jefferson @ Boondocks (great resturant),Fleetwood Falls is a beautiful community and will visit again." "We really enjoyed our stay at Riverbend Chalet. I was moving my daughter into school at ASU and we were looking for a place to stay that was close to school and reasonable. This was a perfect getaway. We thoroughly enjoyed our time." 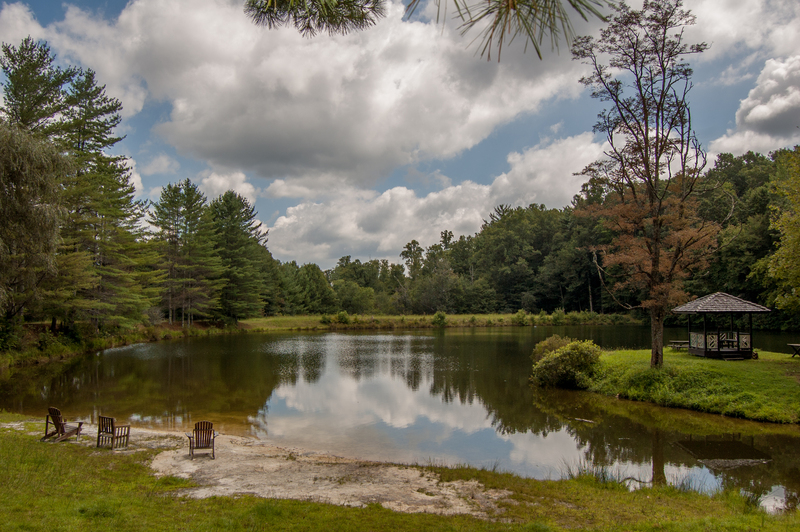 "We were there for 4 nights, but honestly didn't spend much time at the property since we were in the area for MerleFest in Wilkesboro. The house is well kept and clean. Beds and sheets were quite comfortable, towels really need to be replaced. Bathrooms were very clean as was the kitchen. This home has an incredible view and a nice wrap around porch with rockers on it to enjoy your morning coffee or wine and cheese! We were disappointed that even after we contacted the property management office about the main overhead light in the kitchen not working and being told it would be fixed the following day, that in the time spent there it never was. The real shocker is the "driveway" - its not any sort of parking area!! It is a very steep gravel covered area that a vehicle could never stay on and even walking up to the house was very difficult! Only bring 1 car if possible, having 2 gets tricky - anything more forget it!" "We stayed at Riverbend Chalet during snowy February. Cabin was cozy and comfortable, well equipped for our purposes. Views were beautiful. Roads were well maintained and accessible in spite of snowy conditions. Only trouble spot was the short, but very steep driveway to the house, which was slippery with snow and ice. We had a wonderful weekend. " 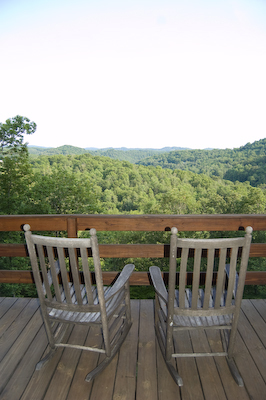 "have stayed in this cabin several times, love that we now have a view. Pots and pans need to be update." "We rented this cabin for our honeymoon/one year anniversary. It was a quiet little cabin, very clean. It is up a VERY steep curvy hill that is one way and that bothered me. At first I thought it was way too far out from everything, but if you have ever been up that way 10-15 min drives are normal to get to town. No parking so only plan on taking one vehicle. The bed in the downstairs bedroom is so hard. It really needs to be replaced with something comfortable. Also plan on having no cell service up there but the cabin does have a phone. It was a great little cabin and I am sure we will rent again. LOVED the fireplace. We kept it going while we were in the cabin. " 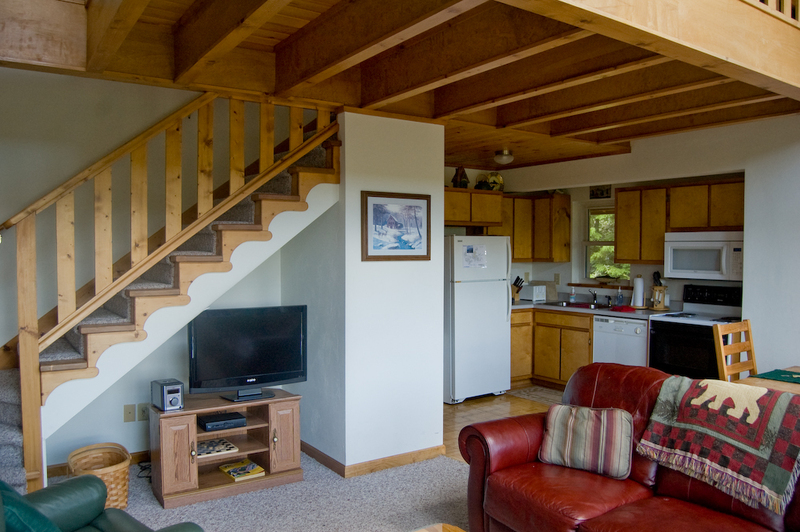 because of wet weather bottom master bedrooms had musty smell but otherwise great condition"
"We thoroughly enjoyed our stay in Fleetwood Falls at the Riverbend Chalet. We found the home very clean, comfortable, private and accomodating. The property manager worked well with us to ensure an enjoyable visit. We will definately be a return customer to this mountain retreat." "We had a good time at the cabin. A few things to consider the driveway is very very steep. The only problem we encountered wasn't related to the cabin but the area. When we got there there were two dogs roaming around, they jump on my car and scratch it. When we contacted the owner he could have cared less. The dogs were loose our whole stay. We are dog lovers however it is not pleasant to step on dog poop because of the irresponsible people down the road. " "Short stay! Wish we could hav stayed longer. It was beautiful and the cabin warm and inviting." 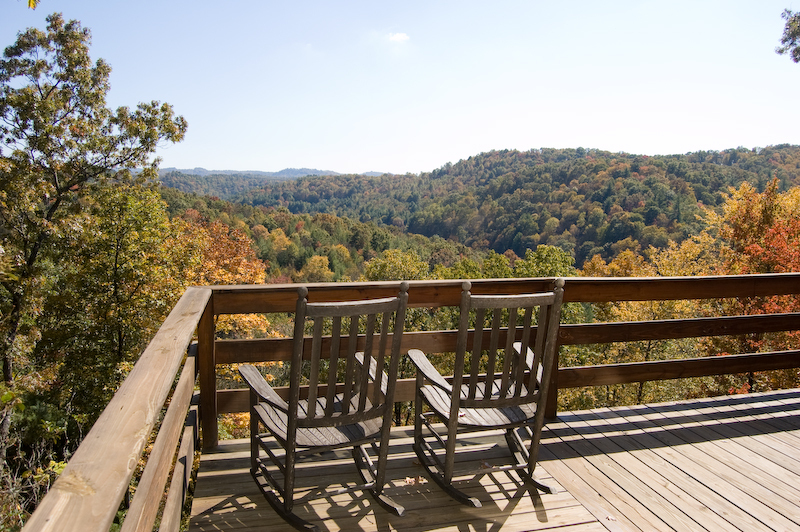 "Beautiful views of mountains and river, convenient to West Jefferson and Boone/Blowing Rock, "
"Our stay was great. we enjoyed the view, the changing leaves and the price and quiet. our neighbors were friendly and very helpful finding local attractions. the only real issue we had was the driveway. not sure how that could be fixed though . we took my f150 4x4 so we fared ok but i had to put it into four wheel drive to back into the parking spot. loved the porch and cool air. my family had a great time and we will definitely rent with this company again in the future. glad we left when we did, heard there was 10" s of snow on Monday. " "I really enjoy sitting on the cabin's deck early in the morning watching the valley and other mountain ridges gradually appear through the mist. A great time and nice to get away from it all. This is the fourth time we have stayed at Fleetwood Falls. What a great location!!!" 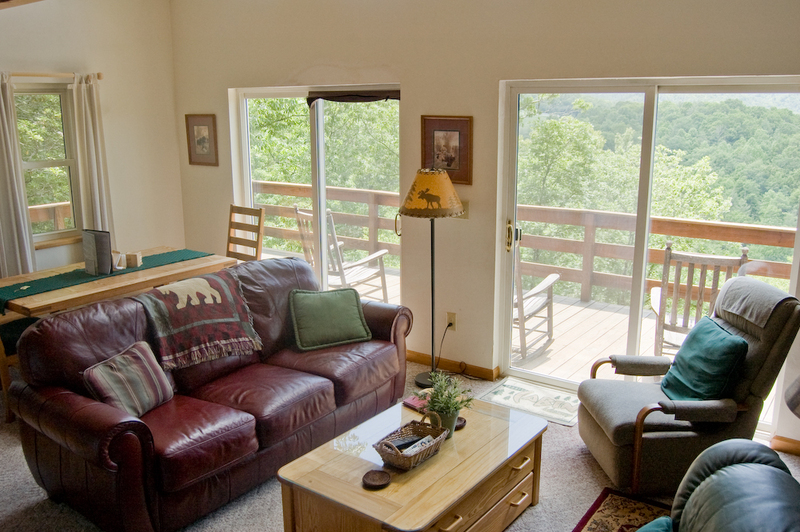 "The Riverbend Chalet was a great place to stay for our mtn. getaway. It was very comfortable & clean, and the view was fabulous! Just the right size for a family of 5 & a small dog." "Wonderful property, great views. Away from the crowds, but convenient to West Jefferson for food, gasoline, supplies, etc. Love the New River and the road which parallels the river is great for biking. The only negative is the lack of good parking for the chalet. The driveway is so steep that we parked in the cul-de-sac and it is a bit cumbersome carrying items so far, but for a few days, it is OK."
""Perfect" describes every aspect of our stay. We love Fleetwood and this past Fall weekend was exceptional. Perfect weather, a view of the hills in peek color to sigh for. While the driveway was a bit of a hassle, everything else at the cabin was delightful. It was exceptionally clean, ready to walk in and enjoy. If view is important to you, you can't do better than this. " "Check in and check out times very unfair to renter. Need more silver ware and better pots and pans. Getting from parking to house difficult for senior adults the diffaculty should have been mentioned. " Check In is 4pm and Check Out Time is 11am, this is pretty standard in the Lodging Industry due to turn over and getting properties available for the next guest. We do offer Early Check In and Early Check Out for a nominal fee if other guests are not checking in or checking out on the same day. "Overall we loved the week we stayed at the chalet. We were delayed from leaving the chalet one day until late afternoon due to the electric company trimming trees...if we had known we could have left early to avoid this delay. The sofa was well worn and could use a recovering. But I would rent again. " "Very basic cable offered. Limited channels; shouldn't cost too much to offer a better selection of channels. and "